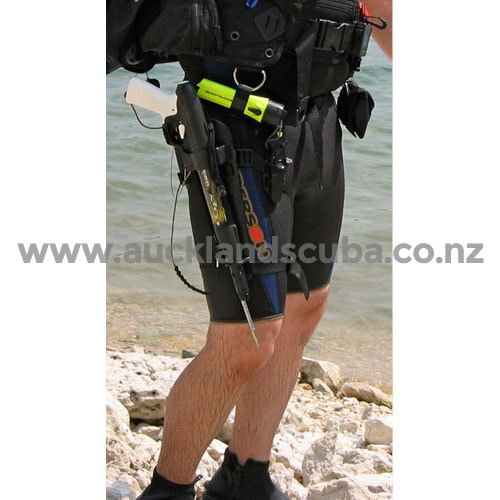 This compact gun comes complete with leg holster making it ideal for both scuba diving and freediving activities. Sten - a legendary name a spear gun that is known and appreciated by all spear fishing enthusiasts for its characteristics of precision, power and reliability. The Sten is one of the finest pneumatic spear guns on the market, optimized for superior performance in a wide variety of spear fishing conditions. Equipped with a rigid ergonomic grip and hydrodynamic muzzle, when used with 8mm diameter shafts, it will meet the needs of fishermen looking for great power and reliability. Spear Gun is equipped with a patented side line release and safety catch. When the fish is fighting your grip the Durable Harmonic Stainless Steel 8 mm Shaft won't bend or break and the Techno-Polymer shock-absorber bushing and piston will absorb the fight of the biggest fish. Speed and penetration is assured with the Sten's high capacity air tank. The 1/2" (13mm) internal barrel can use either a 7mm or 8mm shaft. The simple but sturdy design and construction makes the spear gun highly reliable. Special innovative technical solutions give these spear guns an accuracy that further exceeds all other products on the market. Sten comes with a double barbed tip, shock line with rubber shock bungee, spear shaft, shaft loader and recharging pump. The 16.5" (42cm) spear gun also comes with a leg holster. All Sten Spear Guns come with a 24 month limited warranty. The Mares Sten Pneumatic Spear Guns is commonly used for Close To Shore, Small Prey, Warm Water, Cold Water, Large Prey, Open Water and more. 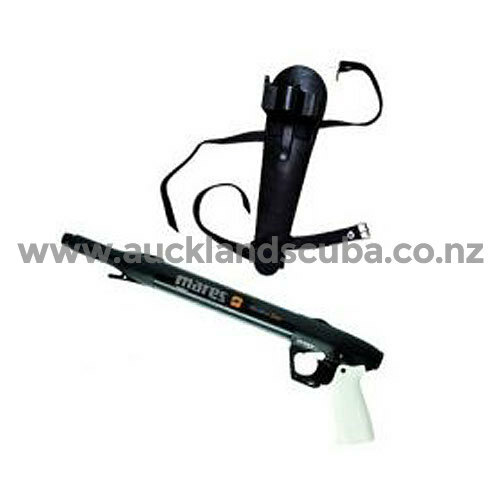 The Mares Sten Pneumatic Spear Guns is most used by customers who consider themselves to be a Recreational Diver, Advanced Diver among others. 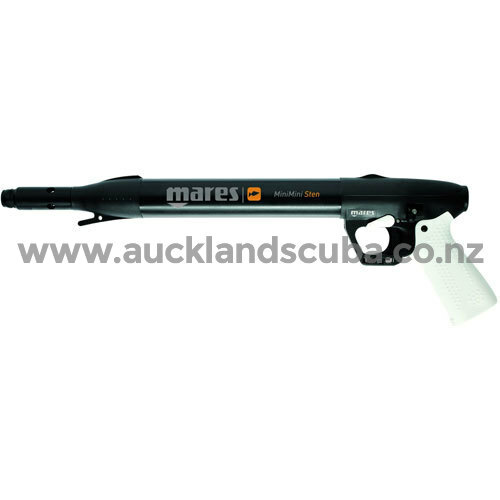 The Mares Sten Pneumatic Spear Guns is popular because customers like the following qualities of the Mares Sten Pneumatic Spear Guns: Lightweight, Low Recoil, Accurate, Fast, Good Range, Durable.